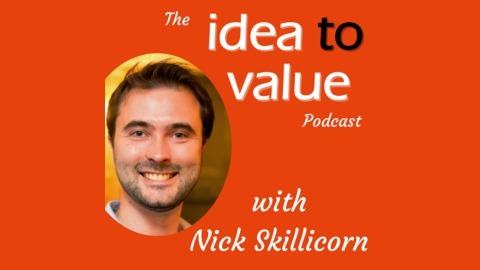 Welcome to the Idea to Value podcast, where in every episode we highlight the latest insights into creativity and innovation from experts across the world. I’m your host Nick Skillicorn, I care about the evidence behind what makes ideas happen, and I have already helped thousands of people like you through my unique insights into recent scientific findings of how creativity works. 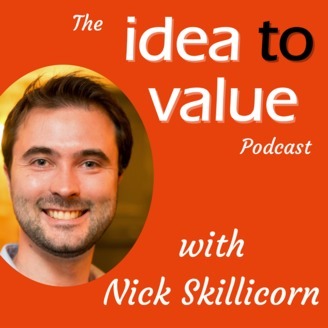 I also show you how to turbocharge innovation programmes so they can finally deliver on the value and ideas you’ve been struggling to execute. Get your free training on how creativity can be improved by registering at https://www.ideatovalue.com. In today's episode of the Idea to Value Podcast, we speak with Efosa Ojomo, co-author of the new book The Prosperity Paradox: How Innovation Can Lift Nations Out of Poverty, along with Professor Clayton Christensen and Karen Dillon. We speak about why charity isn't the most effective way to help countries develop, what most governments and policymakers get wrong about how to help drive prosperity in developing nations, and how these lessons can be applied to your business. Would you pay a minimum of US1980 for Samsungs new folding phone?